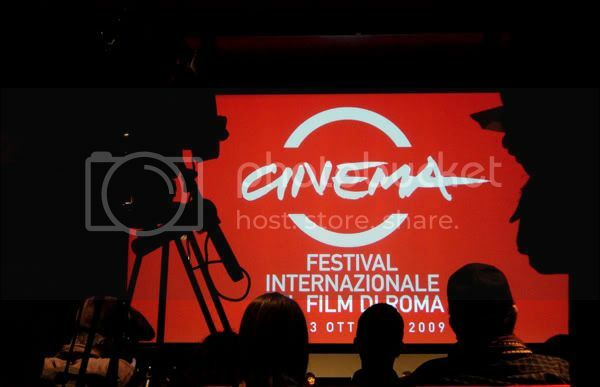 I knew about his visit in Rome already two weeks ago, as he was going to present the Experimental Witch, a project made in collaboration with his readers, at the Festival Internazionale di Film di Roma. So, I check out about if there was an autography signing event or something like that and, infact, he was supposed to show up at the Via Veneto Arion BookShop store on Friday late afternoon. Me, all exited, prepared, (I bought his last book JUST for that occasion, it seemed a bit lame to show up with an old book...) and so I couldn't wait until that moment arrived! When I was finally going to the store, one hour and a half earlier, I was surprised how nervous I was.. I felt like going on a date or something.. thinking about what I'm gonna say, should I ask him a question, you know, THE QUESTION, the one thing you want to know about your Idol, about his job, about his world! You always ask a question when you meet a famous person or someone who is important for you... I have always at least two intelligent questions on my mind, but this time.. my mind was totally BLANK... I got worried about my english, was I able to express myself normaly and if I was going to blush when asking him to sign my book.. Oh silly me..If I only had known that I had got the wrong imformation. No Paulo meeting was held in that store, the information was two years old. Yesterday, I had informed myself (this time rightly) and he was about to be at the event in the evening at Auditorium. The one and only shot! This was my chance.. but... uhm, too bad the tickets were sold out... I grabbed my friend Gabriele and head straight to the Auditorium, there was a small chance that someone would sell me his ticket. The ticketpoint had made it clear it was more than impossible to get a ticket and so we stood infront of the entrance with my friend, envying the ticket-holders. We tried even to come up with a plan B, like corrupting a security man or someone else.. nothing. And then I SAW HIM! he entered from the red-carpet, I saw him! Everybody entered and we remained outside. I was so sad, I really hoped that the fortune would be on my side. Nothing. We walked around and when we returned we saw some women giving away some tickets. NO WAY ! freee tickets just rained down from the sky, fortune was on my side!!! Paulo gave a little speech in the beginning and then some questions were asked before the film was showed. I did like the experiment, it was really nice that the readers themselves had partecipated in it and interpretated the roles through their own eyes, expressing the messages they got from the book. I didn't get an autograph but I guess you can't have everything, right? Peccato per venerdì, ma immagino che ieri sia stata una bella esperienza! Il film è bello? Sai se lo proietteranno anche nei cinema? qundo si è fortunati ... niente è impossibile! Cara amica e io lo sono!